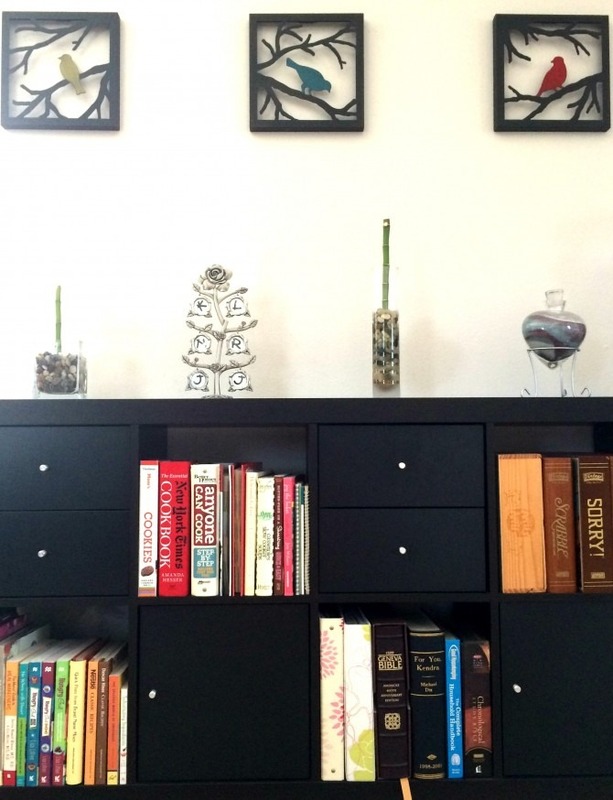 Summer has finally arrived, which means that my schedule has lightened up a bit, leaving more time for all sorts of fun recreational things, like reading and decorating my home. (Okay, I guess I do those things year-round, but they are so much more enjoyable in the summertime!) 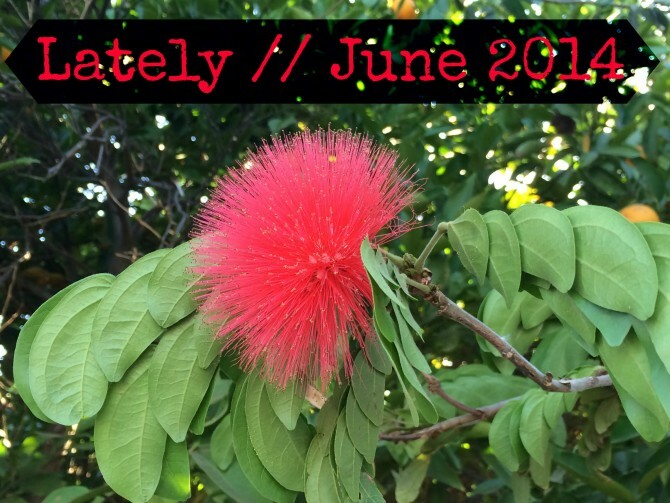 From books to snack foods, and everything in between, here are some things that I am into this June. 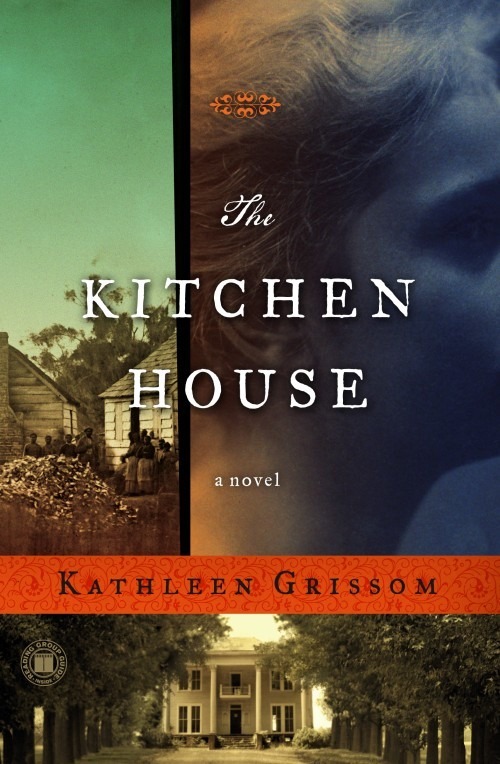 The Kitchen House is a historical novel about slavery in the South in the decades prior to the Civil War. The book’s main protagonist is Lavinia, a white orphan who finds herself living as an indentured servant on a southern plantation under the care of Belle, the master’s illegitimate daughter. As the story unfolds, and the two girls mature, they both struggle to find their place in a world that can be difficult to navigate when you fall outside the clearly defined boundaries of race and servanthood. Surprisingly, I haven’t read much about this period in our nation’s history, and this book is opening my eyes to the challenges faced by people of all colors prior to the abolition of slavery. One startling aspect of this time period – and perhaps most of history – is the fragility of life: from accidents to illness, the world was a much less secure place then than it is today, and in reading The Kitchen House I am reminded of the modern conveniences (like doctors and medicine) that I take for granted. What I’m Watching . . .
As I mentioned in last month’s post, the television viewing in our household is limited to Netflix and DVDs. We tend to pick a series or two on Netflix and watch if from start to finish, and because we are a bit obsessive compulsive eccentric, when a new season of a show releases, we go back to Season 1 and watch the series straight through. Consequently we are currently working our way through Psych for the third time. 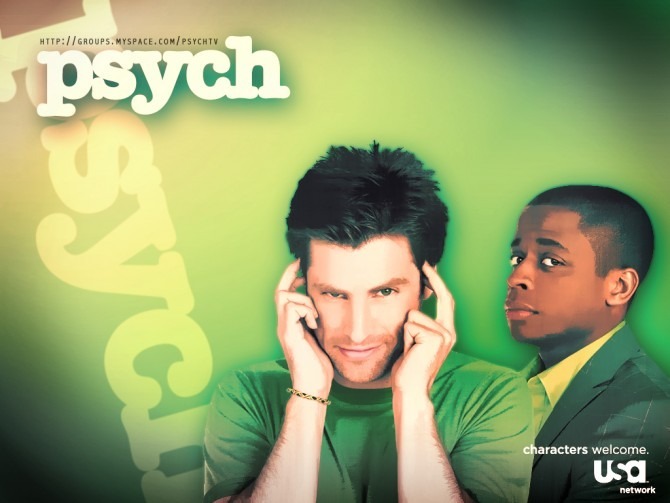 If you are unfamiliar with this show, it is a detective comedy-drama about a young crime consultant who poses as a psychic (but actually just has excellent observational skills) in order to assist the Santa Barbara Police Department in solving crimes. This show combines two of my greatest loves – mystery and comedy – and though it frequently verges into slapstick territory, the lighthearted acting and fairly intricate story lines (usually) keep the show from feeling too cheesy. It’s also fun to try to spot the pineapple hidden in each episode! With Girl Meets World debuting next week (!!!) Luke and I thought we’d prepare by catching up on some classic episodes of the show that started it all. I didn’t grow up with Boy Meets World, but Luke introduced it to me when we were dating and it quickly became one of my favorites. There is so much to love about this show: the outfits are hilarious, the stories manage to be laugh-out-loud-funny and completely sentimental, and the values are obvious but not heavy-handed. 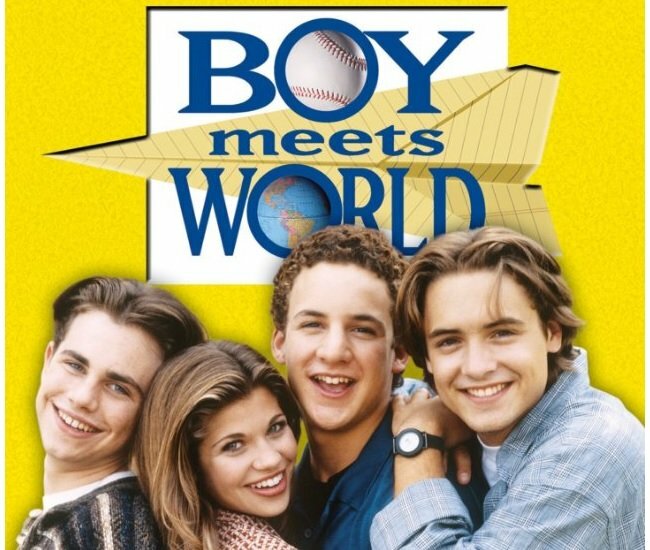 Like the best of the Pixar movies, Boy Meets World is a show that has something to offer for adults and kids alike, and I hope to one day share the escapades of Cory, Topanga, and the rest of the gang with my own children. What I’m Listening To . . . I recently finished listening to the audio version of The Introvert’s Way, a little book that packs a pretty powerful punch. 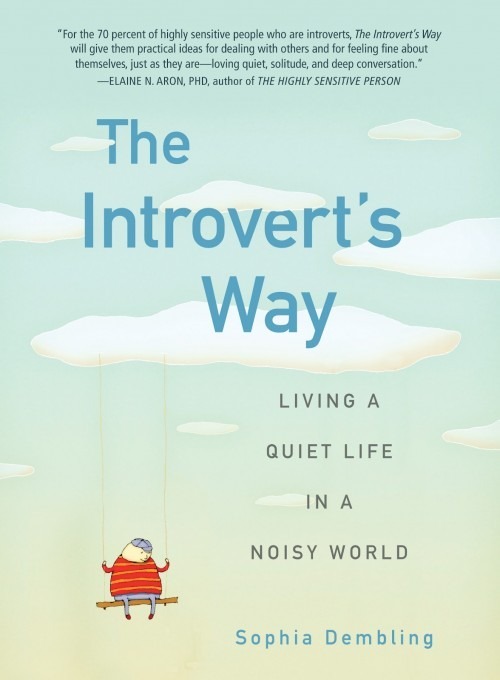 In it, author Sophia Dembling explores introversion: what introverts are like, what makes us tick, and how we can function in a world that caters to extroverts. Dembling encourages us to embrace our introverted nature and legitimizes many behaviors and attitudes that introverts (myself included) may feel guilty for exhibiting. She also provides tips for how to navigate those moments when we need to be a bit more extroverted. I could have done with some of the extrovert putdowns, but otherwise found this to be an insightful and informative book. What I’m Eating . . .
I’ve followed a gluten free diet since being diagnosed with Celiac disease two years ago, but I’ve tended to steer clear of specialty Gluten Free items because they are a) expensive and b) generally not very good. There’s nothing worse than paying $8 for a loaf of gluten free bread that is barely edible. 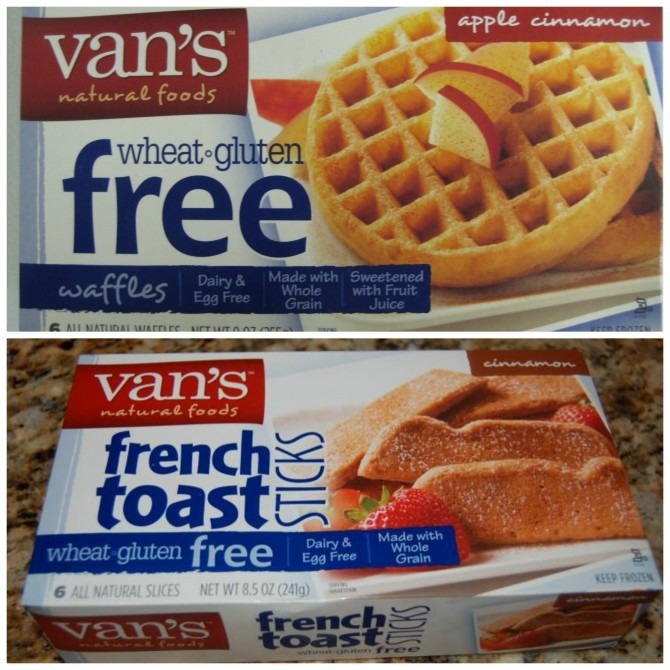 But lately I’ve been finding myself in a bit of a breakfast rut (one can only eat so many breakfasts of scrambled eggs) so this month I decided to take a chance on Van’s Gluten Free breakfast items. I picked up a box each of Apple Cinnamon Waffles and Cinnamon French Toast Sticks, and I was not disappointed; both the waffles and the french toast are delicious! The flavor of both items is sweet, but not overly so. The french toast is pretty comparable to (what I remember of) traditional frozen french toast. The texture of the waffles is more dense than that of gluten-filled frozen waffles, and though it caught me off guard at first, it only took a few bites until I was sold. Van’s items are pricey, so they probably won’t be an everyday indulgence, but I’m happy to have discovered an occasional gluten free breakfast treat! Speaking of gluten free foods, I have a current obsession with polenta (the kind that comes in a tube). Luke thinks is tasteless and kind of gross, but I can’t get enough of the stuff! 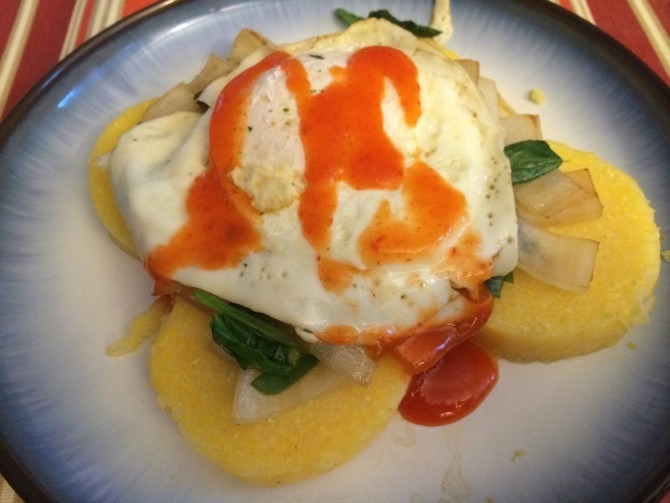 My favorite way to eat it is topped with sautéed onions and spinach, a fried egg, and a drizzle of sriracha. I toss in a salad and a smoothie, and I’ve got a wholesome and tasty dinner. . . now I just need to convince my husband that this is frugal, gluten-free dining at its finest! What I’m Enjoying . . . The wall over the book case in our living room has been bare since we moved into our new place last October, and I finally found just the pieces to fill it. I know the bird trend has been going strong for a while now, but it wasn’t until I found these adorable 3-Dimensional pieces at Target that I happily jumped on the bandwagon. These frames add just the right amount of color and dimension to the space, and I get a kick out of the fact that they share a wall with our real-life pet cockatiel. I was having a rough day last week and needed to escape into another world for a bit, so I decided to head to the movies. . . in the afternoon. . . by myself. 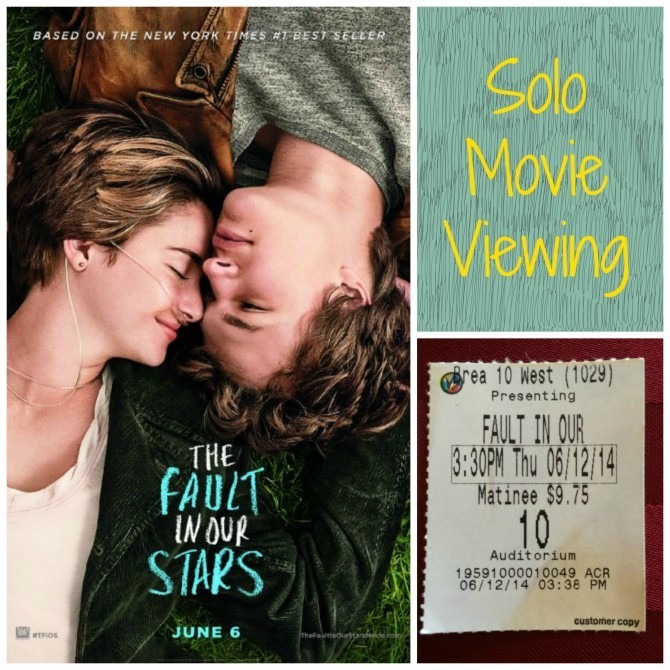 * I went to see The Fault in Our Stars, which was every bit as good as the book, and even more tear-inducing. The theater was (predictably) filled with teenagers who giggled inappropriately throughout the movie; that is, until they started crying. Or, rather, bawling and wailing. I have never heard such exuberant expressions of emotion in a movie theater; it would have been funny, if the movie wasn’t so sad! Despite the antics of my fellow movie-viewers, I thoroughly enjoyed the film, and though going it solo to the theater is too expensive to make a regular habit, it was fun to do this once! *This wasn’t the first time I’ve gone to a movie alone, though my last solo moviegoing experience was in college. That time, I was truly alone – as in, there was nobody else in the theater! The sound was off on the movie, and I had to go and ask the tech to fix it; I felt horrible that he had to go out of his way, when I was the only one watching the movie! What are you reading, watching, eating, and enjoying this summer? Do you have any gluten free recommendations for me? And the big question: if you’ve seen The Fault in Our Stars, how many boxes of tissues did you go through? 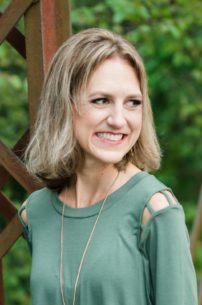 I’m linking up a community of bloggers over at Leigh Kramer’s blog to share what we’ve been into lately. Head on over to her site to read what others are into, and to join the link up.